The Friendly Society Pharmacy can help you with all your CPAP products and accessories. We stock leading brands including Resmed, Philips Respironics and Fisher & Paykel and are the only official Air Liquide agent in Bundaberg. 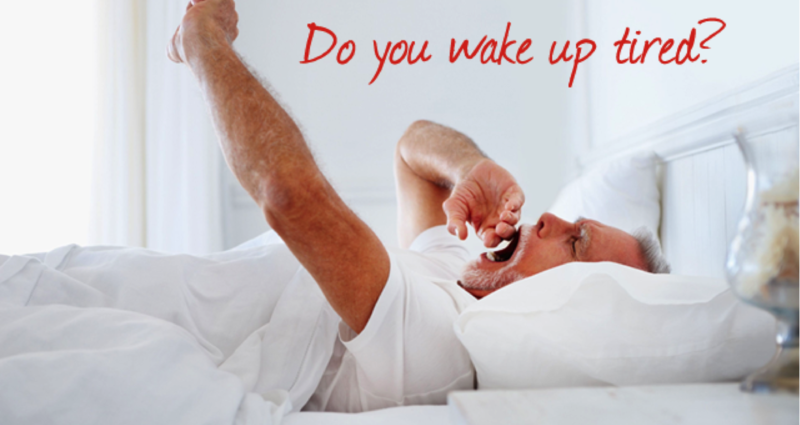 Do you suffer from a sleep disorder such as sleep apnoea? If so, it is likely that your treatment will include the use of a prescribed CPAP (Continuous Positive Airway Pressure) machine. Our specially trained CPAP consultants can guide you through the products and accessories available to you for hire or purchase from the Friendly Society Pharmacy, and can provide you with support when it comes to the fitting and use of your equipment. Obstructive Sleep Apnoea is both the most common and the most troubling of the sleep related breathing disorders. During sleep, the muscles that control the tongue and soft tissues in the upper airways relax. When this happens, the tongue and soft tissues may partially obstruct the airway resulting in a snoring noise. If the tongue and tissues totally obstruct the airway it causes an apnoea (cessation of breathing). Nasal Continuous positive airway pressure (CPAP) is the most common treatment for Sleep Apnoea. CPAP involves wearing a fitted mask over the nose and/or mouth during sleep, through which a low pressure is delivered to the upper airway. To determine your needs, a CPAP titration ( a second overnight stay at the sleep unit) is required. During this, the air pressure delivered is adjusted while you sleep to a level that will prevent your throat and associated structures from collapsing. Once an appropriate pressure is determined you may have a trial of CPAP at home before deciding to purchase. The Queensland Sleep Disorders Unit operates in conjunction with the Friendly Society Private Hospital in diagnosing sleep disorders. In order to have a sleep study conducted you will need a referral from your GP. Choosing a CPAP unit is not a straight forward process, especially if you are a new CPAP user. Further to your sleep study, your sleep doctor has determined the optimum pressure to treat your sleep apnoea condition. Usually, the physician also recommends the type of device that is suitable for you. There are two main different types of units to treat your OSA condition, Fixed pressure and Automatic pressure units. Fixed pressure CPAP which involves air delivery at a continuous set pressure throughout the night. Some CPAP units allow for slight difference in inspiratory and expiratory pressure making your treatment more comfortable or Automatic positive airway pressure devices (also called auto adjusting CPAP) detect subtle changes in your upper airway and provide pressure response which adapt on a breath by breath basis, to ensure that your airway will remain open at any time. Your sleep specialist will normally allow the pressure to respond between a lower and an upper limit to maximise comfort whilst still ensuring optimal clinical treatment. There are many different types of masks. Finding your most comfortable fit is a very important step in ensuring a positive treatment outcome. Our CPAP consultants can assist you to select the correct mask system for you, and to ensure it fits correctly and is comfortable. We will also give you regular support and monitoring during the early stages of your treatment to ensure that you gain maximum benefit from use of CPAP. Because the air from your machine is travelling much faster to hold your airways open, this air can cause a cool drying effect on the air passages. The use of a heated humidifier may assist you to reduce this discomfort. Heated humidifiers, which come as an option with most CPAP units, warm and humidify the fast moving air and will make your CPAP therapy much more comfortable. Humidifiers alleviate the symptoms of nasal congestion and dry mouth that may exist with CPAP therapy. Some units come with advanced humidification technologies, which can make a great difference in your therapy’s comfort. Talk to your doctor and to the specially trained CPAP consultants at the Friendly Society Pharmacy about the benefits of humidification. The air tubing, mask frame, cushion and headgear should be kept clean so that the mask continues to provide a quality seal. Wash your face each night to remove any excess facial oils and minimise the build-up on your mask. Every few days the air tubing, mask, headgear and cushion should be hand washed in lukewarm, soapy water. Use mild soap only, do not use oils, bleach, moisturising or anti-bacterial soaps or any chlorine compounds. Rinse components thoroughly, dry them and store them away from direct sunlight. Most people will replace their mask every 9-12 months. Most CPAP devices do not require regular servicing; however it is important to change filters every 3 months. If you feel that you are no longer receiving the same pressure or the same therapy benefit contact the Friendly Society Pharmacy so we can check your CPAP unit and reassess your mask fit. Although snoring can be a sign of sleep apnoea, there’s a big difference between the two. People with sleep apnoea actually stop breathing up to 400 times throughout the night. This breaks your sleep cycle and can leave you tired during the day. Because of disturbances to normal sleep patterns, people with OSA often feel very sleepy during the day and their concentration and daytime performance suffers. If you’re having trouble sleeping come in and talk to one of our staff today.